Seven year old Abigail and her family picked their winter share up in a wagon on Sunday. 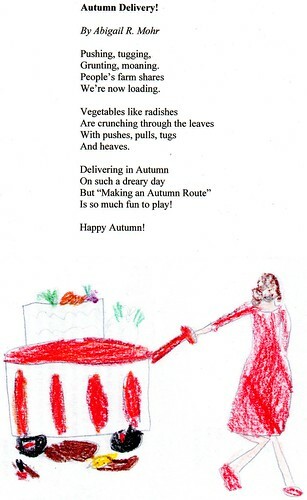 Here’s a poem and picture Abigail wrote about this Autumn Delivery. Thank you, Abigail! ← What’s in the November share?